Mirroring the quality and adventurous spirit of Executive Chef Tim Russo’s seasonal menu, the wine & cocktails programs at Lock 50 are comprised of items selected for quality, versatility and uniqueness. Our offering is diverse, and features an ever-evolving mix of classic, esoteric and eclectic offerings across a range of prices, styles and vintages. This allows our guests a wonderful selection to choose from during their time at Lock 50. Our team prides itself on helping our guests choose the perfect wine to complement their meal, pairing the nuances of wine to help create the perfect dining experience for our guests. And because of Lock 50’s reputation, we are often allotted selections that other Worcester restaurants are not, such as Peter Michael Au Paradis, Bourgogne Puligny-Montrachet, Turley Hayne Vineyard Petite Sirah and Lewis Cellars Alec’s Blend. The staff at Lock 50 receives weekly education allowing them to help our guests navigate their wine selections, reminding them about one of their favorite wines or helping the discover something new! The Cocktail & Beer programs – including our craft beer and house developed cocktails – are an integral part of the dining experience at Lock 50. Cocktails are hand crafted by our experienced and professional bar staff. Alcohol has a rich history in New England, and at one point, was thought to cure the sick and help the aged. We have come a long way since the first Rattle-Skull was made, and at Lock 50 we use modern techniques and interesting variations to pay homage to our colonial era roots by developing our own unique cocktails. 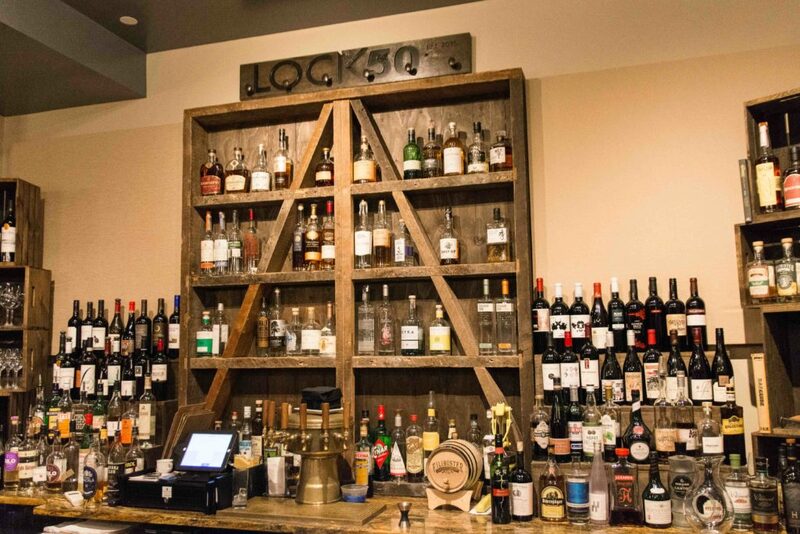 Similar to the wine list, Lock 50 also presents an array of ever-changing, locally-produced craft beer, ciders and meads. The last touch in the Lock 50 beverage program is a proud partnership with Worcester’s own Polar Beverages, sure to add the finishing touches to an already unique experience.